Pezo.com is a domain registered in 1999; its Cypriot-Greek owner, Mihalis Pourgouris, has used the domain for personal and professional purposes since then. Phonetically, pezo represents the Greek verb “play” – as in play music, or games.  There is no doubt that pezo.com was registered for that purpose, almost 20 years ago, at a time before LLLL .com domains became popular purely as domain investments. 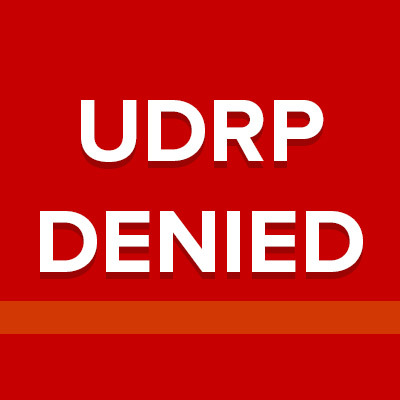 The ensuing UDRP decision favored the Respondent, and the Complainant’s request to transfer the domain to them was denied. The Complainant is Pezo Tech LLC of Chatham, New Jersey, United States of America (“United States”), represented by MG Miller Intellectual Property Law LLC, United States. The Respondent is Perfect Privacy, LLC of Jacksonville, Florida, United States / Mihalis Pourgouris of Nicosia, Cyprus, represented by Achilles & Emile, Constantinos Emilianides LLC, Cyprus. The disputed domain name <pezo.com> (hereafter the “Doman Name”) is registered with Network Solutions, LLC (the “Registrar”). The Complaint was filed with the WIPO Arbitration and Mediation Center (the “Center”) on August 17, 2018. On August 20, 2018, the Center transmitted by email to the Registrar a request for registrar verification in connection with the Domain Name. On August 20, 2018, the Registrar transmitted by email to the Center its verification response disclosing registrant and contact information for the Domain Name which differed from the named Respondent and contact information in the Complaint. The Center sent an email communication to the Complainant on August 22, 2018 providing the registrant and contact information disclosed by the Registrar, and invited the Complainant to submit an amendment to the Complaint. The Complainant filed an amended Complaint on August 29, 2018. In accordance with the Rules, paragraphs 2 and 4, the Center formally notified the Respondent of the Complaint, and the proceedings commenced on August 30, 2018. In accordance with the Rules, paragraph 5, the due date for Response was September 19, 2018. On September 18, 2018, the Respondent requested a four-day automatic extension, in accordance with paragraph 5(b) of the Rules, to submit a Response, a request which was granted by the Center. The Response was filed with the Center on September 21, 2018. The Center appointed Jon Lang as the sole panelist in this matter on October 2, 2018. The Panel finds that it was properly constituted. The Panel has submitted the Statement of Acceptance and Declaration of Impartiality and Independence, as required by the Center to ensure compliance with the Rules, paragraph 7. The Complainant is the owner of the United States (“US”) registered trademark, PEZO (US registration number 5087979, registered on November 22, 2016). The Complainant is owned by Suzette Redling who also owns Spotit, LLC (Spotit). Spotit first filed an application for the trademark on September 15, 2015. The trademark was subsequently published on May 17, 2016, and later assigned to the Complainant on June 5, 2018. The Complainant owns an app (hereafter the “Pezo app”) that provides educational, parental control software and was first used in commerce on August 30, 2016, and is still in use. The website at <pezo.com> is a website administered and owned by Mihalis Pourgouris (hereafter the Respondent) and his group of companies. The Respondent is a Cypriot businessman who has owned a group of companies which uses the name “pezo”. The Respondent has acted as agent for companies such as Betfair, and for e-wallets such as neteller or skrill. He also owns shares in cafes, restaurants and other establishments. He resides in Cyprus, Athens and Thessaloniki and operates through his group of companies in Europe, the Russian Federation, China and the US. The Doman Name <pezo.com> was registered on January 6, 1999. The following is a summary of the main assertions of the Parties. The Domain Name incorporates the Complainant’s registered word mark PEZO and is identical to it.  The website to which it points functions as an international money transfer service. This is confusing to Internet users who would expect to find information regarding the Complainant’s Pezo app. There is no evidence that the Respondent has trademark rights in the Domain Name or that the Respondent is commonly known by the Domain Name. The word “pezo” does not currently appear anywhere on the “pezo.com” website apart from once at the very bottom. In contrast, on the Complainant’s current website at “www.pezo.land”, the term “pezo” appears over two dozen times throughout the home screen interface alone. There is no evidence of the Respondent’s use of, or demonstrable preparations to use, the Domain Name in connection with a bona fide offering of goods or services related to the word “pezo”. The Complainant however has a legitimate interest in the Domain Name as “Pezo” is the name of its app, which has been commercially available for about two years. Perfect Privacy, LLC (hereafter Perfect Privacy) did not provide a response to the Complainant’s attempts at communication. Perfect Privacy have not been granted a license or any authorization to make any use of the Complainant’s trademark and it has failed to demonstrate any rights or legitimate interest in the Domain Name. Perfect Privacy has been subject to at least 10 previous UDRP proceedings before the Center, and in each case was ordered to transfer the domain name. Perfect Privacy regularly registers domain names in bad faith that are identical or confusingly similar to others’ trademarks. Previous panels have held that the conduct of a respondent in registering multiple third party trademarks as domain names is in itself evidence of bad faith. The Domain Name and PEZO mark are identical and use of the Domain Name is only serving to confuse Internet users, especially those seeking information about the Pezo app. Is the Domain Name identical or confusingly similar to a trademark or service mark in which the Complainant has rights? Pezo is a Greek word (“παίζω”) which means “play”. It is not an invented word. The Respondent principally engages in the fields of gaming and entertainment and has always used pezo, i.e. play, as his principal trade name for his commercial activities. The Respondent had not heard of the Complainant, its trademark or app prior to the Complaint being filed. The Pezo app relates to educational parental control software and the Complainant’s trademark is registered only in the US. The Respondent does not exercise any activities in the field of educational parental control software and thus does not engage in the same field of activity as the Complainant. A trademark registered in the US in a specific class and for specific services, is not an all-encompassing right which might justify prohibition of others to use a non-invented word in other fields. The Respondent has a lengthy and well-established use of the word “pezo”. It is the name of his companies and so he is essentially using his name for his work. The Respondent first registered a Cypriot company before the Cypriot Registrar of Companies with the name Network Pezo Limited (registration number 103669) on July 21, 1999. The company, later renamed Club Pezo Ltd, was principally engaged with gaming, betting, licensing and sub-licensing activities, entertainment activities as well as a wide range of commercial activities. The use of the word “pezo” was because the activities of the company related to playing. The shareholder, director and secretary was the Respondent. Club Pezo Ltd was later dissolved because the Respondent decided to register a company of the same name in Romania. Thus Club Pezo Srl was registered with the Romanian Registrar of Companies on October 23, 2015 (registration number 35157041), with the Respondent as sole shareholder and director. The company is active and carries on the activities of the Respondent internationally. The Respondent also registered a company on August 2, 2012, (registration number 310107) at the Cypriot Registrar of Companies named Pezo Catering Ltd (which engages in catering activities). The Respondent is shareholder and director, and the company remains active. Another Cypriot company, Pezo Reality X Ltd (registration number 352313), was registered on February 15, 2016 and remains active. Again, the Respondent is shareholder and director. The Respondent has been using “pezo” as the main distinctive symbol of his group of companies since 1999, many years before registration of the Complainant’s trademark in the US, and he is using the name of his companies on his website. The Respondent has prior rights and legitimate interests in respect of the Domain Name as it refers to the name of his companies and has been in use for nearly 20 years. The use of the Domain Name by the Respondent is bona fide – it is offering his services, and he has been commonly known by the Domain Name. No-one has been misled; the commercial activities of the Respondent are more widely known and have been going on for much longer, than those of the Complainant. Furthermore, the Complainant and the Respondent do not operate in the same fields of activity. Customers of the Respondent are well aware of his services and his clientele has known him for over 20 years. There is no confusion between gaming, entertainment and catering activities, and an educational app. The Respondent has no relationship with Perfect Privacy and is unaware of its relevance to the Domain Name. The Domain Name is owned and administered by the Respondent and thus references to Perfect Privacy and its previous cases are irrelevant. The Respondent has never before been involved in proceedings at the Center. The Respondent has been using “Pezo” in his companies’ names for nearly 20 years. The Domain Name was registered for the purpose of carrying out lawful activities and not for any other purpose. The Domain Name is not intended to confuse Internet users, but rather promote the Respondent’s group of companies. The field of activity of the Complainant and the Respondent differ substantially and there is no bad faith involved. Whilst the Complainant has only recently used “pezo”, the Respondent has been using it commercially for nearly 20 years and has registered several companies under such name in fields strikingly different to that of the Complainant. The Respondent is Greek and has reasonably opted to use a Greek word (pezo) as his principal distinctive name for carrying out his commercial activities in the fields of gaming and entertainment. The Respondent has not sought to prevent the Complainant from using a domain name for bad faith reasons and has never engaged in such conduct. The Respondent is not a competitor of the Complainant and it is the Respondent who is known as the user of “pezo” for nearly 20 years, not the Complainant. Paragraph 4(a) of the Policy requires a complainant to prove that a respondent has registered a domain name which is: (i) identical or confusingly similar to a trademark or service mark in which a complainant has rights; (ii) that the respondent has no rights or legitimate interests in respect of the domain name; and (iii) that the domain name has been registered and is being used in bad faith. A complainant must prove each of these three elements to succeed. As a preliminary matter, whilst Perfect Privacy remains a respondent in these proceedings, it is a mere privacy service enabling the true owner of the Domain Name to keep his personal information private. Accordingly, past findings made against Perfect Privacy, for instance, matter not. It is the actions of the Respondent Mihalis Pourgouris which matter. It is not disputed that the Complainant is the registered proprietor of the trademark for PEZO. The Complainant clearly therefore has rights for the purposes of the Policy. Ignoring the generic Top-Level Domain (“gTLD”) “.com”, the Domain Name is identical to the Complainant’s mark. Accordingly, the Panel finds that the Domain Name is identical to a trademark in which the Complainant has rights. In view of the Panel’s finding in respect of bad faith registration and use below, there is no need for the Panel to analyze in any depth the issue of whether the Respondent has rights or legitimate interests in respect of the Domain Name. Given the Respondent’s extensive use of the name Pezo for his businesses over a number of years, he clearly has rights or legitimate interests in respect of the Domain Name. The Complainant mainly focuses on Perfect Privacy when addressing bad faith registration and use even though, for reasons explained earlier, it is the actions of the Respondent Mihalis Pourgouris, the true owner of the Domain Name, that are important. The Domain Name was registered on January 6, 1999, a considerable number of years before the Complainant filed its application for the PEZO trademark (September 15, 2015) and began commercializing its Pezo app (August 2016). There is no suggestion that the Complainant had acquired rights in the PEZO mark as long ago as 1999, or even at any time before 2015. In these circumstances, the Respondent cannot conceivably have been aware of the existence, or even potential existence of the Complainant’s PEZO mark (or app) at the point of registration of the Domain Name. It cannot therefore have been registered in bad faith. Under the Policy, both registration and use in bad faith is required for a complainant to succeed. Accordingly, whilst the Panel need not consider the issue of subsequent use of the Domain Name, for the sake of completeness, the Panel finds that there is no evidence whatsoever to suggest bad faith use either. It follows that the Panel does not find that the Domain Name has been registered and is being used in bad faith. Wow! Talk about amateur hour! Remind me to NEVER hire MG Miller Intellectual Property Law LLC for my domain name and other intellectual property needs. I’d sure lose my case in any jurisdiction based on MG Miller’s performance here.